Congestion in rush hour takes up about a 10th of the journey time for many drivers. 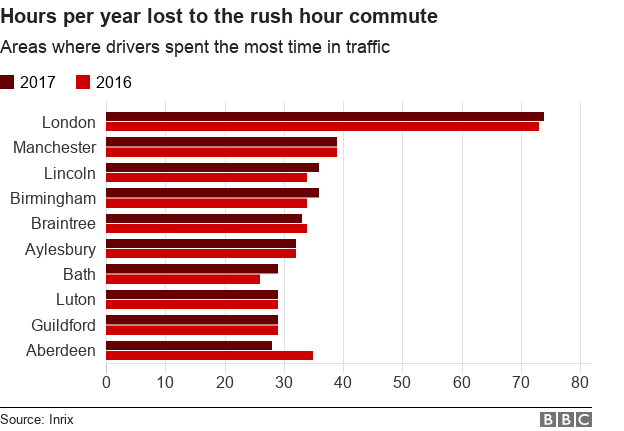 Drivers in UK cities spent more than a day each year stuck in rush hour traffic, new research has shown. Motorists in London lost an average of 74 hours – more than three days – in 2017, an hour more than in 2016.